If you have received your DemandCaster credentials, the process of logging in to the system is described below. The article also includes how to retrieve a forgotten password. Once the account is activated, enter your assigned password. 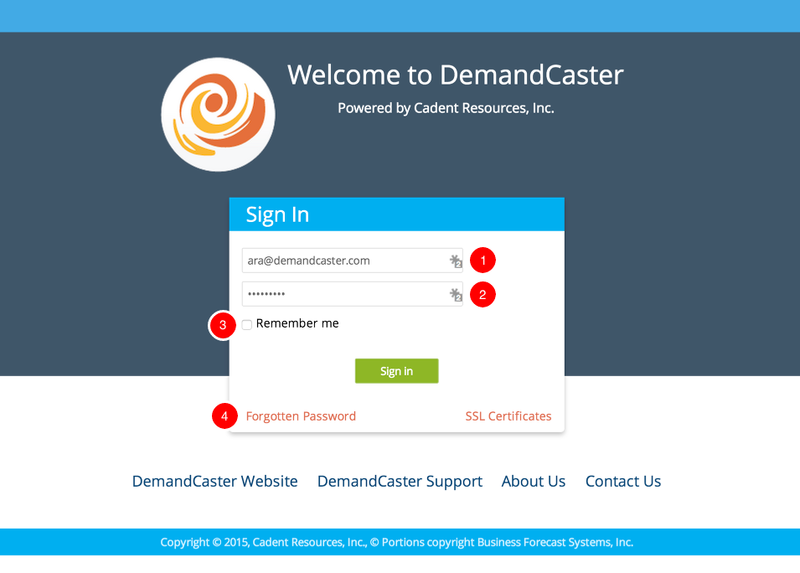 Click login to enter DemandCaster. Check the "Click to accept DemandCaster's Terms of Service" to proceed. By checking you will be redirected to change your assigned password. Once you accept the terms, you will be asked to change your assigned password. You may proceed to any interface using the two level menu bar. The top level is the major DemandCaster planning and analytics areas. The second level is a sub-menu of the collection. Note: Though any browser may be used to run DemandCaster, we recommend using Chrome. 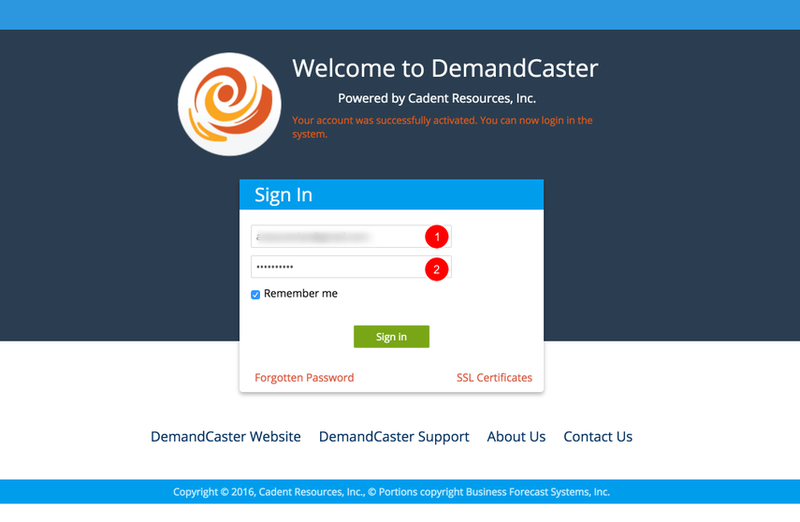 Please note that you should not use the activation link to re-login to DemandCaster. That link will always take you to the change password screen. If you forget your password, click on “Forgotten Password” link under the Login button and a password reset link will be sent to your registered email. If you click on the “remember me” check box and then bookmark one of the pages within DemandCaster, you can click on the bookmarked page to re-enter DemandCaster without logging in again (as long as you do not log out).